Dacora-Kamerawerk is a camera maker founded in 1946 by Bernhard Dangelmaier at Reutlingen, Germany. By 1960, the company had produced some 2 million inexpensive cameras. 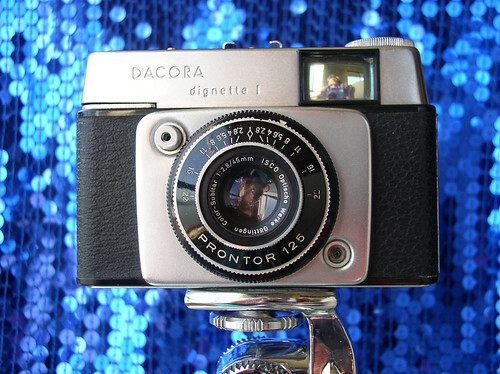 Dacora manufactured cameras for other European camera retailers to be sold under their own label, including Porst, Ringfoto, Ferrania, Ilford, and Lumière. The company was purchased in 1972 and camera production ceased shortly thereafter. The Dacora Rapid cameras were also sold rebranded by Ferrania, Hanimex and Ilford (as the Sportina range). McKeown, James M. and Joan C. McKeown's Price Guide to Antique and Classic Cameras, 12th Edition, 2005-2006. USA, Centennial Photo Service, 2004. ISBN 0-931838-40-1 (hardcover). ISBN 0-931838-41-X (softcover). Pp. 232–8. Dacora Dignette E-B PDF instruction manual, multiple languages from OrphanCameras.com website. This page was last edited on 18 February 2018, at 15:09.